Wildfires in a boreal forest are destructive forces of nature that also have beneficial elements necessary to the forest's existence. The Anishinaabe people understood the importance of fire. Their language and stories clearly provide evidence of this fact. 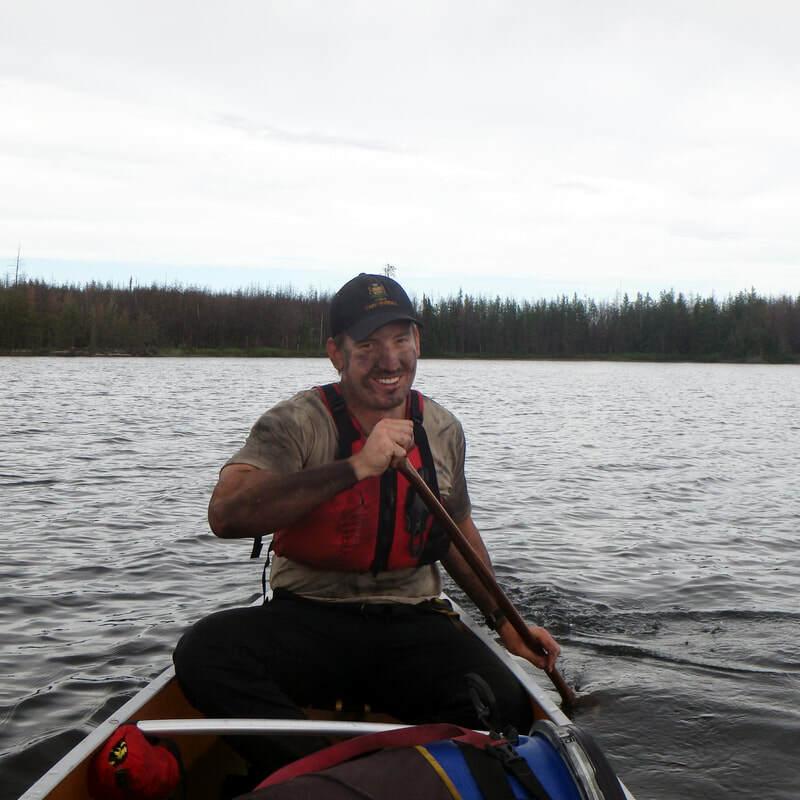 The indigenous peoples that lived in and around the Woodland Caribou Provincial Park studied various types of fires and their different reactions to various weather conditions. This allowed for a deeper understanding of how fire can be used to benefit not only their survival, but the forest as well through controlled burns. "... If you respect fire, the fire will be good to you. It will keep you warm cold days. But you also have to have respect and be careful with the fire. You have to use it wisely. If you use it wisely it will keep you. If not it will burn all of your possesssions." ​"... Where fire comes to rock area blueberries come after the fire. Feeds a lot of animals. We eat blueberries too. Fire makes good food areas. Mature forest cannot make good food areas." It is important for a wilderness class park to allow natural cycles to occur (natural fire regime). However, fires which threaten public safety, property, or other values require aggressive and immediate responses. The extent of the response is contained within the capacity of Aviation Forest Fire and Emergency Services (AFFES). AFFES monitors fires and considers what types of vegetation is burning, how dry it is, wind speed and direction. This information allows for predictions of how the fire will burn into the future. Depending on the severity of the fire, areas may even need to be evacuated. 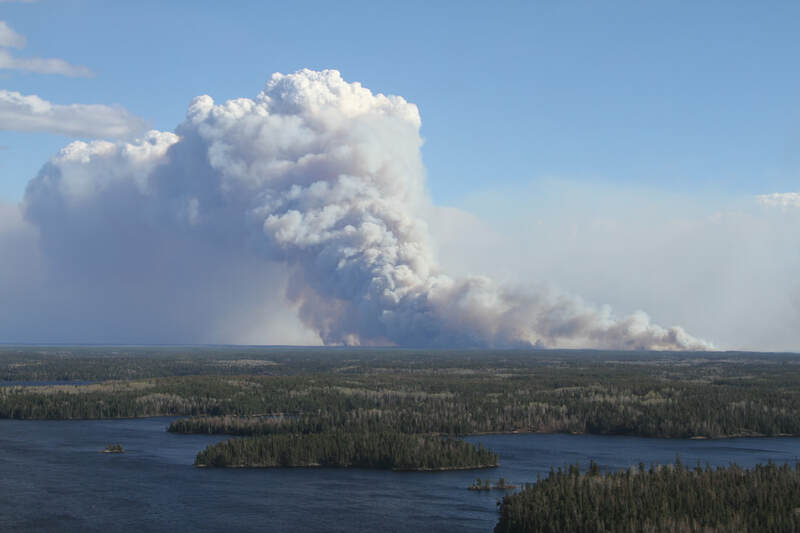 Woodland Caribou Provincial Park and the surrounding area, along the Manitoba border, has the highest number of lightning caused forest fire in Ontario. This area is known to burn more frequently than anywhere else in the Province. Fire RED 003 began burning in 2016. 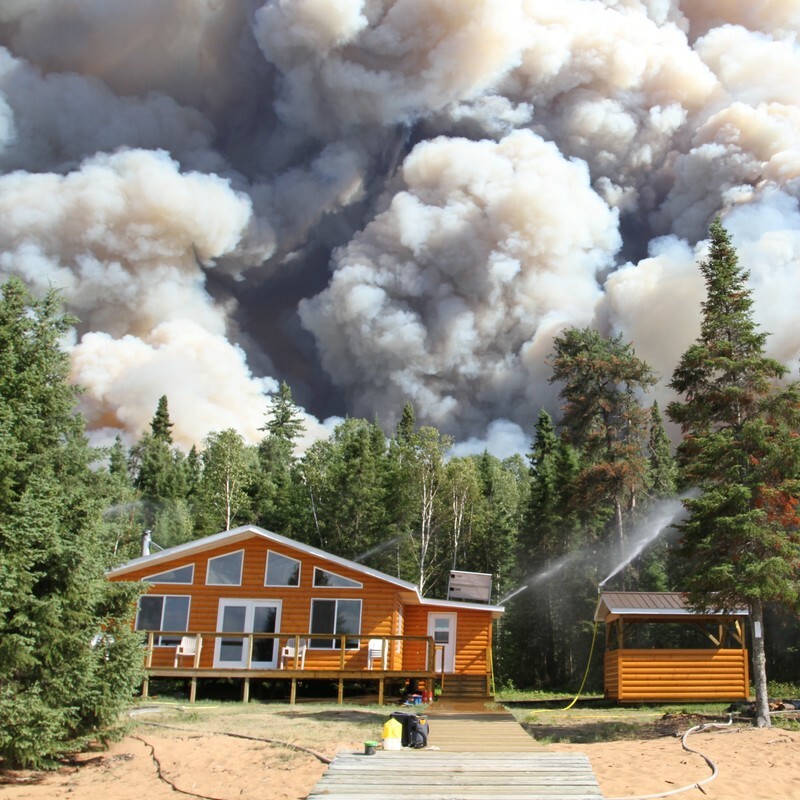 The wildfire reached over 85, 000 hectares in Ontario making it the largest recorded fire in the Park. RED 003 means the fire burned within the district of Red Lake and was the third fire of the year. ​Woodland Caribou Provincial Park is a fire-adapted boreal landscape. The Park requires fire to release nutrients stored in the dead organic matter and regenerate into new growth. Plants and animals are always evolving with every passing wildfire. ​A mosaic of both burned and unburned forest within the fire perimeter is created because of the different factors like weather and vegetation. These factors determine the intensity and spread of the fire. 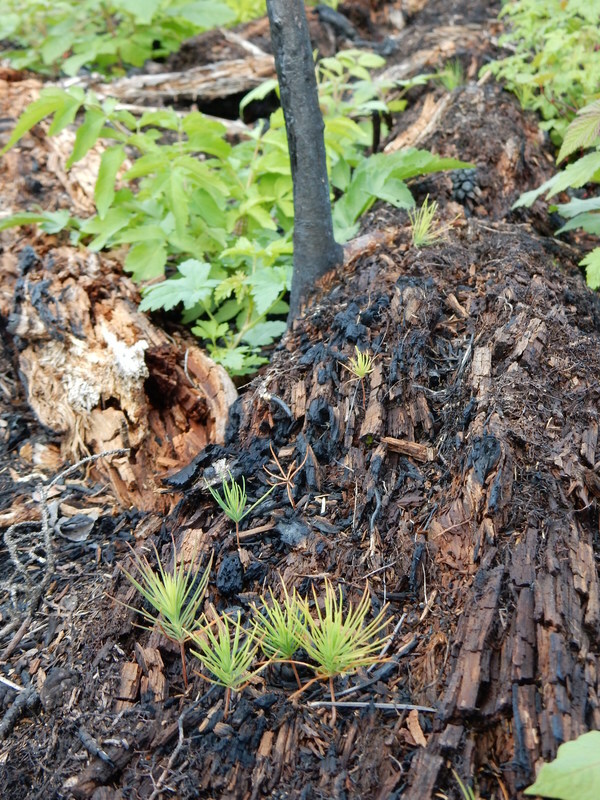 Within days after a dissipated forest fire, new plants and trees are growing. Some forests regenerate faster depending on the severity of the fire and the type of soil present. After a fire, insects begin moving in and start to break down the burnt wood. This results in birds such as woodpeckers to flock in due to the insects. Animals, such as rabbits and moose will quickly follow the fresh growth of vegetation. The maturing of a forest attracts different wildlife fulfilling their role in the ecosystem thus restoring the cycle of nature again. Read more about Fire Ecology at the Heritage Centre Exhibition!